Our feeling is the secret, you create or manifest any feeling you are experiencing right now. 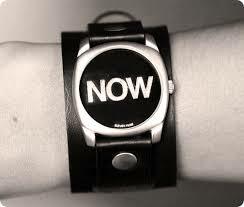 Now is reality and the future is now. There is no other future but now. Now is all you have. Our emotions are the results of our feelings. Everything is energy and emotions leads to motion. Feeling and Emotion are the driving force behind every creation in your life. A picture paints a thousand words. This is a very true statement . You create anything or whatever you concentrate on and focus on. If you concentrate your mind on fear, your mind will create an image scene of fear in your imagination and you will surely reap what you sow in your imagination. Furthermore, if you concentrate on and focus on Love, prosperity, wealth, success and having a great life. your mind will create a positive image scene in your imagination and as you believe in your heart so shall it be done unto you. Imagining creates reality. Imagination is reality. We were all created in the image of Imagination. I AM all imagination. You are your emotion. What you feel you experience. Seeing is believing but it is your feeling that’s the truth. What you are feeling right now is who you are now. In this present moment you are what you are feeling now. So check yourself right now. What are you creating with your feelings and emotions right now? The feedback you get back in your life experience could be positive or negative. It all depends on what you sow in your imagination and you will always reap what you sow. imagining creates reality. Imagination is reality. I AM all Imagination. My question to you my friends right now is what feeling and emotion is driving you right now? If you know the answer to this question. Then you already know your reality is and what your future is. The truth is we create our own reality. if you think in negative terms you will get negative results and if you think in positive terms you will get positive results. This is the truth that will set you free. We are all spiritual beings having a human experience. You are your experience. All the feeling and emotions we experience we call LIFE, everything you have experienced in your life is nothing but a learning experience. So enjoy your adventure on planet earth and learn from your life experiences, what you learn will creates within you a wisdom that will you guide on your journey on planet Earth. So always remember I AM spirit, I AM Life Itself, I AM The Life Force Within, I AM Power, I AM all Imagination, I AM Everything. I AM Energy. Everything is Energy and Emotion leads to Motion. Our Feelings and Emotions are the driving force behind every creation in our lives. Blessings friends and have a prosperous and fulfilled 2014. Finally, please remember to always imagine the best in everything. ← You Become What You Feed Your Imagination!